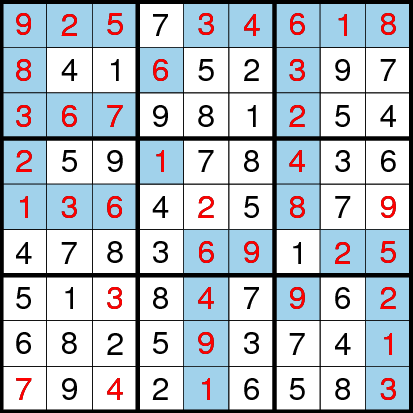 Position Sudoku variation, I first time saw in Dutch Sudoku Championship 2014 which happened in June 2014. May be this variation appeared before this championship but I am was not aware of Position Sudoku before Instruction booklet for Dutch Sudoku Championship got released. This Position Sudoku is my 64th contribution for The League of Extraordinary Ladies and Gentlemen. Classic Sudoku Rules apply. Additionally clues outside indicate position of highest digit in first 3 cells.